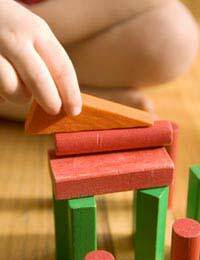 Home > Materials > Which Toys Are the Most Environmentally Friendly? Environmentally friendly or ‘green’ toys and games are nothing new. But the trend towards all things eco-friendly has been affecting the toy world for some time now, and there have been some fantastic innovations in toy making that mean you don’t necessarily have to feel guilty if your child’s toy box isn’t full of recycled or home made things to play with. How exactly does a Toy Qualify as Environmentally Friendly? There’s no real set definition of an environmentally friendly toy. There’s certainly no legal definition. But the general opinion is that for a toy to be green it shouldn’t harm the environment in any way. It’s a bonus if as well as being non-harmful to the environment and resources, it can also teach children something about the planet and how to look after it. It’s been said that the toy industry has been slow to embrace the green agenda, but the tide is beginning to turn, slowly, and manufacturers are coming up better ways to promote environmental awareness. Green Board Games are produced by the Green Board Games company and the company is the winner of several Green Apple Awards. You might not have heard about the Green Apple awards – they have actually been running since 1994, and are organised by The Green Organisation. The Green Board Games Company has a strict ethical and environmental policy and has been producing environmentally aware games since 1991. Some of the games available include puzzles, colouring books and board games as well as educational card games. The company has recently been asked to become part of the International Green Heroes, a select group of environmental achievers who use their experience to help others – and the environment. Green credentials and a large selection of games make them a top choice for environmentally aware parents and children. Wooden toys look the part when it comes to being eco friendly, and there are toy companies springing up all over the place offering variations on a wooden theme. Type ‘eco-friendly’ and ‘wooden toys’ into a search engine and you’ll find there are plenty of options to choose from when you are looking for something durable and environmentally aware for the kids to play with. If being green is your main concern though, look for a company that has a clear environmental policy, and if possible only uses wood sourced from sources that conform to strict environmental standards. Some manufacturers also state that they produce their toys in accordance rules set out by the Forest Stewardship Council (FSC). Companies like Treeblocks and others produce a wide range of fun toys that don’t harm the environment, including trains, puzzles and even play centres. The clue is probably in the name for the Green Toy Company website, which sources a wide range of fun toys and games, all with the intent of providing toys that don’t cost the earth. You can find rag dolls, wooden toys and more on this charming site, which chooses all the featured toys for their minimum environmental impact, wooden toys which have all been manufactured from reforested wood, and soft toys made from natural and organic fabrics. The site also donates money from every sale to The Woodland Trust. A similar place for environmentally aware toys is the Great Green Toys site, which boasts a fantastic range of toys for all ages – and even some lovely toy chests and boxes. Wooden and fabric toys dominate the site, and there are some absolutely lovely toys that won’t harm the environment – from prams and dolls to Medieval castles and play kitchens. Well worth a look for toys that will last as well as having great green credentials. Great green Toys even recycle their own packaging and aim to operate their company in as ethical a way possible, so it’s green ticks all round!